The latest news from Global Ice Center: Sea Ice in the North West Arctic reaches record shrinkage – Weathernews Inc.
On August 17th 2008, the Global Ice Center at Weathernews, Inc. (※1) announced that sea ice in the North West area of the Arctic had decreased to its lowest levels since satellite monitoring of the region started. It is also believed that the melting of sea ice in the Arctic will lead to the realization of Polar Routeing. Weathernews' Global Ice Center carries on with their operation by collecting and monitoring global sea ice all over the world and providing the latest sea ice information. 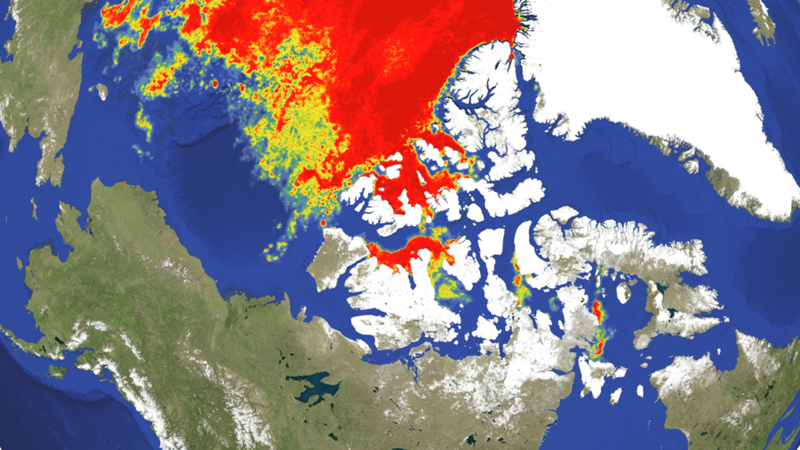 Sea Ice in the North West area of the Arctic Ocean is melting faster than any other sea ice area in 2008. This is because the fast ice (※2) on the east side of Prince of Wales Island is rapidly melting from the middle of July to the beginning of August. The Sea Ice area in the North West area became the smallest in the middle of July 2008. It may soon be possible that the sea ice in the North West Passage (※3) will melt completely, allowing ships to sail through. 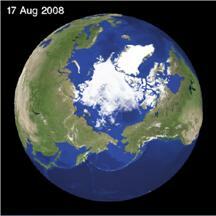 Sea ice area in the whole Arctic Ocean of the year of 2008 is the second smallest recorded after the year of 2007. 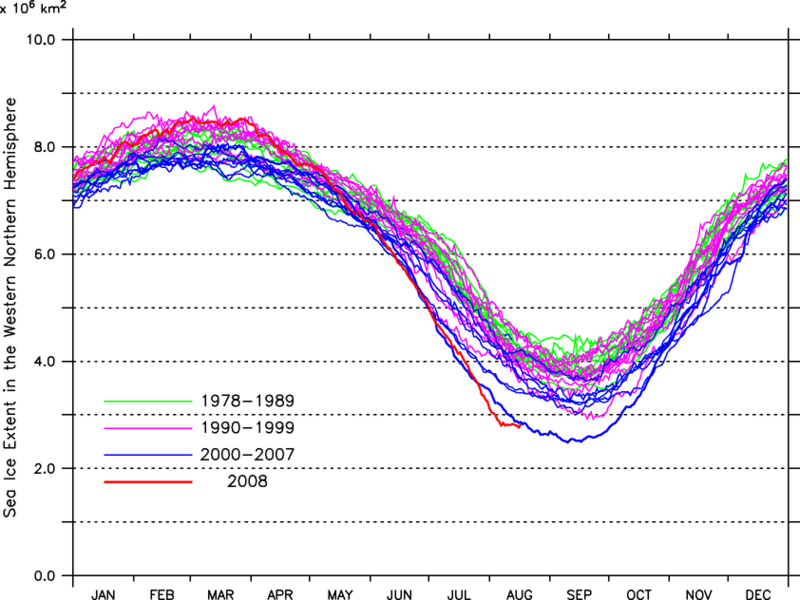 Sea ice in the Arctic Ocean is melting rapidly from June 2008, though sea ice fully covered ocean until May 2008. The large reduction of multi-layer ice (※4) and the extensive development of first-year ice (※5) in 2007 had spurred a rapid melt of sea ice along with the temperature rise in 2008. ※1: Global Ice Center : Collects and monitors global sea ice, and provide global unified information. ※3: North West Passage: One of the polar routes through the Arctic Ocean, along the Northern coast of North America via straits of the Canadian Arctic Archipelago and connecting the Pacific and Atlantic Oceans. ※4: Multi-layer ice: sea ice developed from old ice.